Since the 1930s, the Junior League of Raleigh has used proceeds from the N.C. Governor’s Inaugural Balls to support many worthy organizations serving at-risk youth and women. Committed to improving the lives of at-risk children, the Junior League of Raleigh used proceeds from the 1993 N.C. Governor’s Inaugural Ball to create SAFEchild, Wake County’s only child-abuse prevention agency that works directly with parents and families. 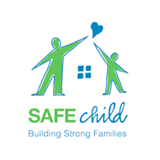 SAFEchild, an acronym for Stop Abuse for Every child, met a dire need in the community offering parent and caregiver education and advocacy services to families. With the support of the Junior League of Raleigh’s dedicated volunteers and funding, SAFEchild became financially independent from the League in just three years. League members remain actively involved in SAFEchild’s programs and outreach efforts by pledging numerous volunteer hours, serving on its board of directors and working directly with families. The League allocated the majority of proceeds raised during the 2009 and 2013 N.C. Governor’s Inaugural Balls to make its largest impact to date with the gift of the Julia Jones Daniels Center for Community Leadership. A crossroads where community leaders and League members come together to problem solve and spark change, the Center for Community Leadership offers training programs, shared meeting space, and networking opportunities for nonprofit organizations throughout the state. The Center for Community Leadership has also allowed the League to strengthen and broaden the scope of its own programs and community services within Wake County.